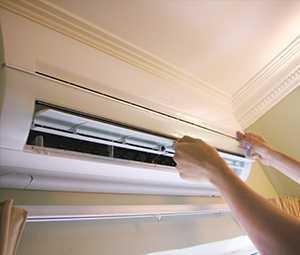 Here at KMH Refrigeration Services, we consider ourselves as experts at what we do. This is due to the fact that we have became the first choice for many in search of air conditioning, refrigeration, and ventilation within Camborne and surrounding Cornwall areas. No matter if you are looking for refrigeration equipment hire or an air conditioning installation in Camborne, rest assure that KMH Refrigeration Services are the ones for the job! With years of skills and expertise behind us in all things ventilation, air conditioning and refrigeration, our team should most definitely be your first choice no matter if you require an installation, repair, maintenance or service. Regardless of your needs for having ventilation, air conditioning and refrigeration KMH Refrigeration Services should always be your first port of call no matter what. Contact our team today to discuss your needs where a member of KMH Refrigeration Services will be more than happy to talk through your options and come up with the best plan of action. After all, we are the first choice for the large majority of people in Camborne, Cornwall seeking ventilation, air conditioning and refrigeration. Having worked within this industry for a number of years now, KMH Refrigeration Services have built up an impressive portfolio and customer base within Camborne which showcases perfectly exactly why you should choose KMH Refrigeration Services. Due to the fact that we can cater to various aspects of air conditioning, ventilation and refrigeration in Camborne, our team are definitely the ones to call on no matter your needs. As specialists within this industry, KMH Refrigeration Services have exceptional knowledge and expertise as ventilation, refrigeration and air conditioning specialists in Camborne, so be sure to get in touch today for all your installation, maintenance, repair and servicing needs. We’re always happy to help! Looking for refrigeration equipment hire, air conditioning repairs, refrigeration servicing or ventilation system installations? Then you have most definitely came to the right place! 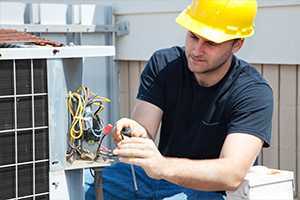 Having developed years of experience within this field, KMH Refrigeration Services should most certainly be your first choice no matter if you are seeking an air conditioning repair, refrigeration maintenance or ventilation system installation. 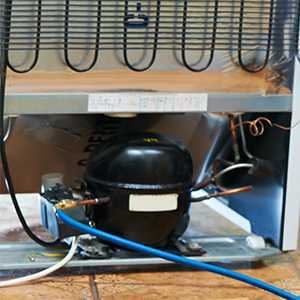 Simply get in touch with our friendly, reliable and reputable team at KMH Refrigeration Services to talk through your options and we will be able to come up with the best plan of action for your specific needs. If you require refrigeration servicing, refrigeration equipment repair, air conditioning repairs, refrigeration maintenance or ventilation system installations in Camborne, Cornwall be sure to make KMH Refrigeration Services your first port of call. 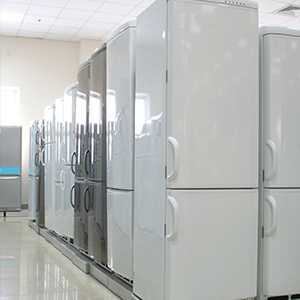 With years of experience behind us we are able to provide refrigeration equipment hire and buying in Camborne, Cornwall to help ensure we cater to all of our clients needs and more importantly their budgets! So please feel free to get in touch via our landline or mobile to discuss your needs for ventilation, air conditioning and refrigeration in Camborne in further depth. Alternatively, you can check out our website to discover more about what we do or simply call us to talk through your options. Just remember, be it ventilation, air conditioning or refrigeration you require, KMH Refrigeration Services are always keen and eager to help in all aspects of your needs ranging from hire, repair, maintenance, installation and servicing. So get in touch today and make the most of your business with our incredible cooling systems! We look forward to hearing from you!